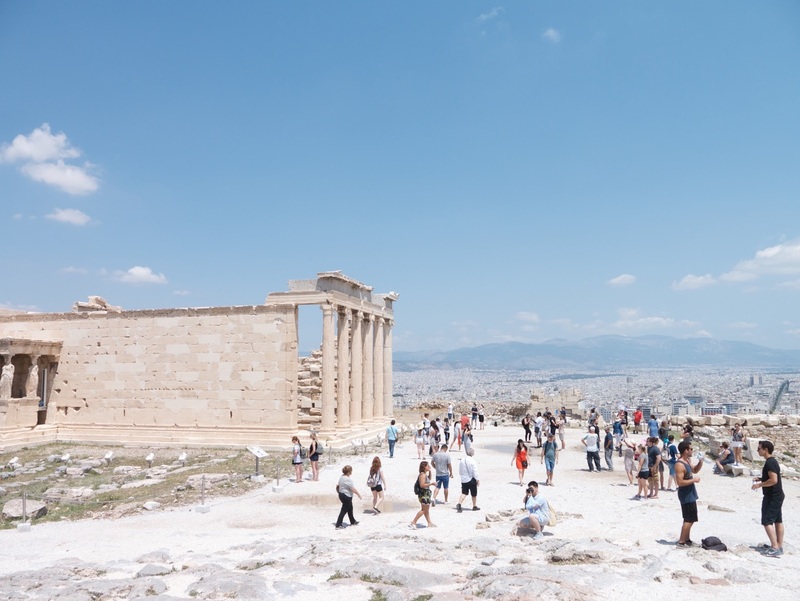 Athens is a sprawling city settled among seven historic hills and surrounded by beautiful mountains. I was looking forward to exploring the birthplace of Western Civilisation and visiting all archaeological gems for a very long time. 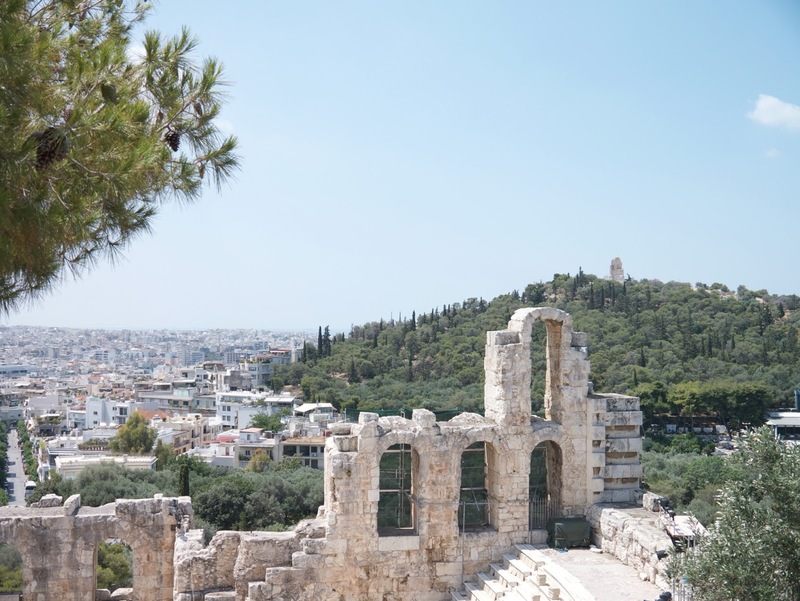 It is quite incredible to think, Athens is a city that was born over 2,000 years ago. 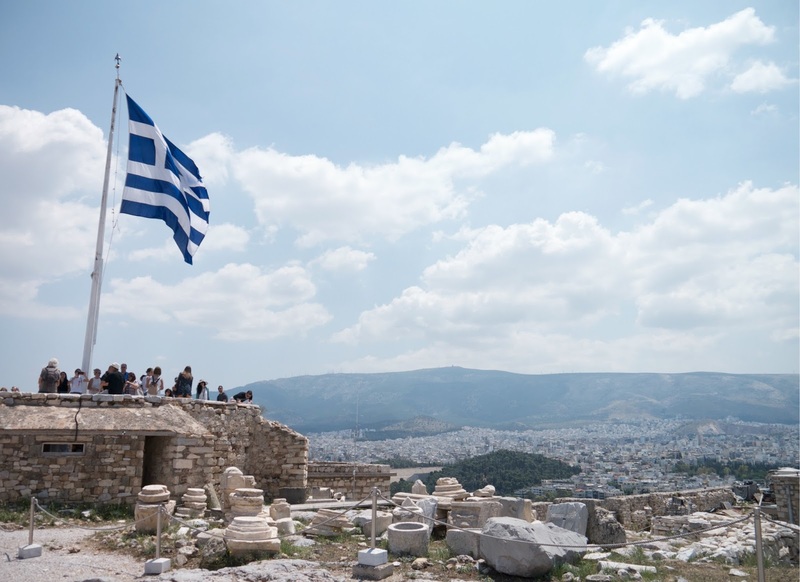 Even now the past hangs above the city, literally, in the shape of the incredible Acropolis dominating the city skyline. 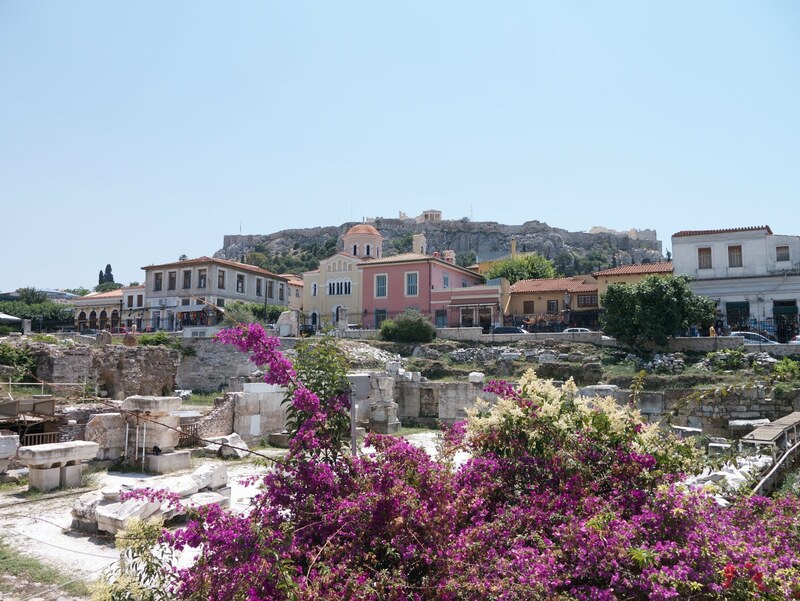 If you’re wondering what the must-see places in Athens are, the list of places is immense – from historic places to modern architecture, Athens simply has so much to explore! Beautiful green gardens in the heart of Athens, quiet and peaceful place away from the bustling city. 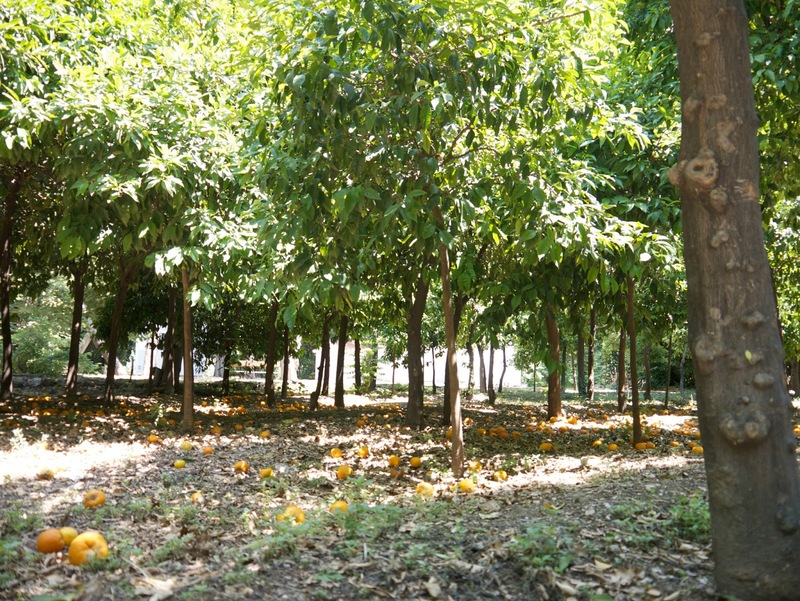 Great place to spend a few hours in and admire plants, orange trees, flowers and trees that have been collected from all over the world. 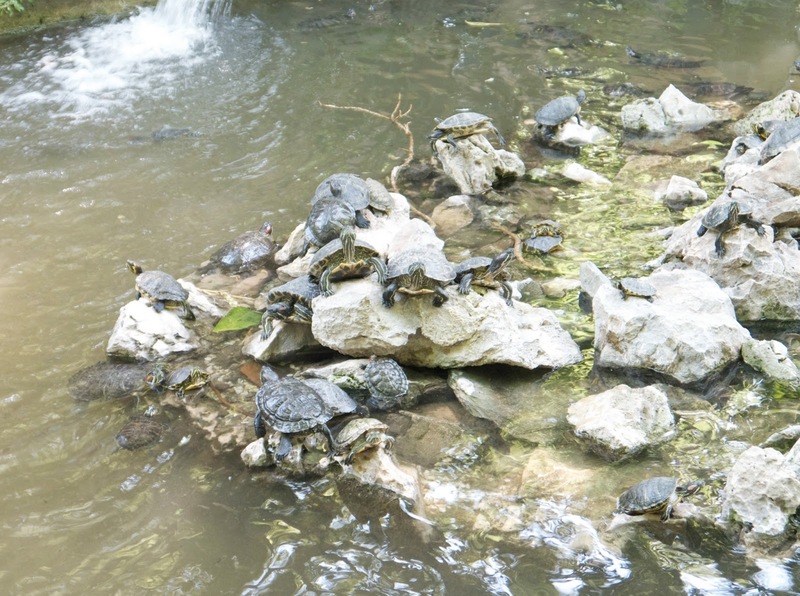 You’ll come across overpopulated pond with turtles! 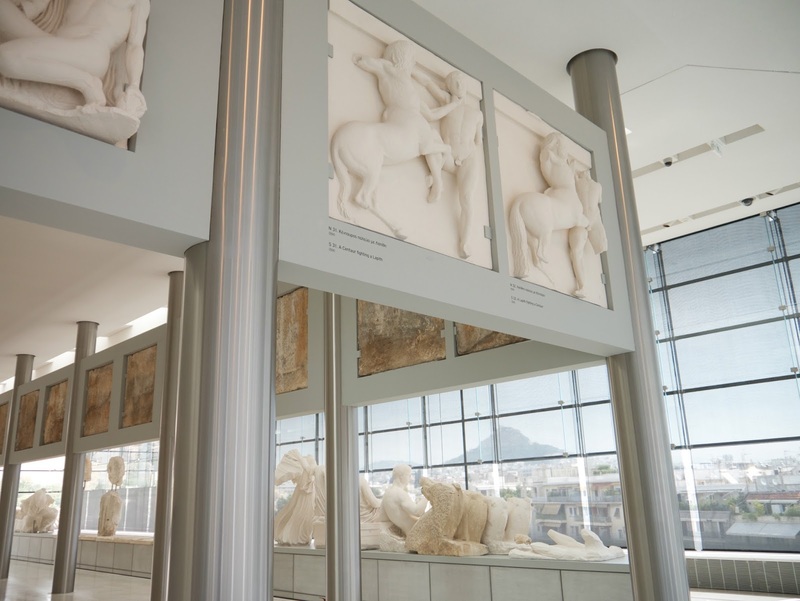 New, light and airy museum home to the largest collection of Greek architecture, life-like stone carvings of animals and ancient sculptures including statues of the goddess Athena. With five floors showcasing 4,000 objects, there is a lot to explore. 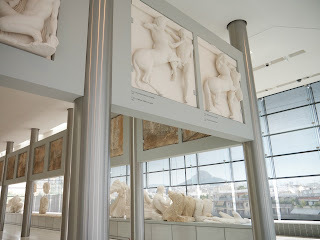 The top floor is dedicated to the marble frieze that once ran around the top of the Parthenon. 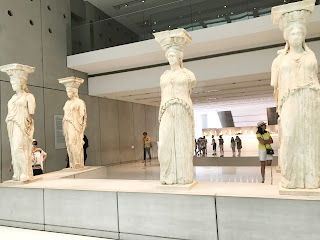 About half of the pieces are originals, while the remainder are white plaster copies - the missing pieces were removed by Lord Elgin in 1801 and are now in the British Museum in London, which is a shame. 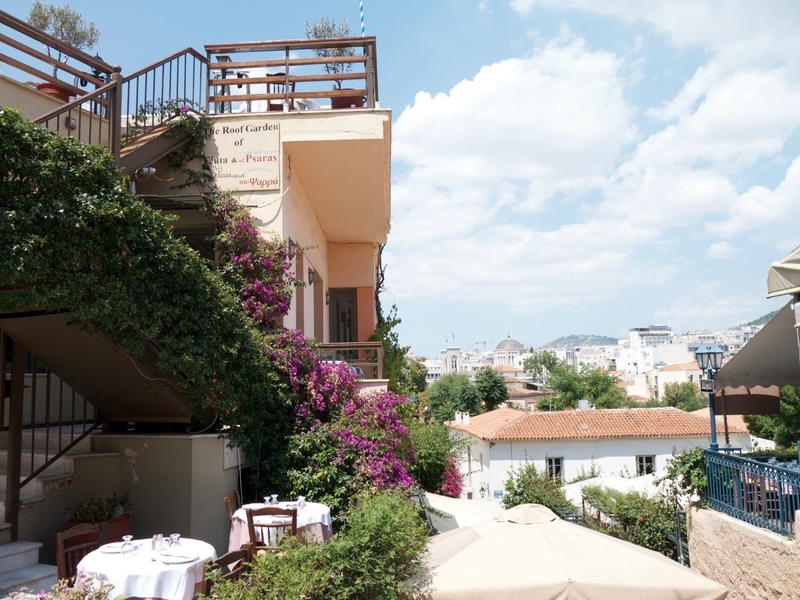 There is a great restaurant/café with large balcony with striking view of the Parthenon. 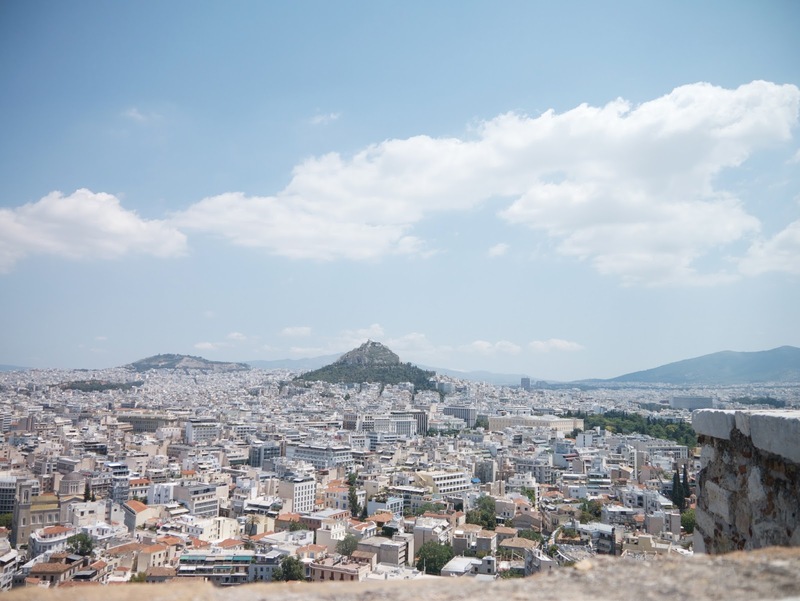 For most incredible panoramic views of the city and the Aegean Sea, visit the highest point in Athens. See the whole city from the highest vantage point (970ft), offering incredible panoramic views of Athens and the Aegean Sea. The cable car can take you to the top of the hill, where you’ll find a tiny, whitewashed church, a restaurant and open-air café. Large square where you’ll find the Parliament building, built in 1842 as the residence for King Otto and Queen Amalia. 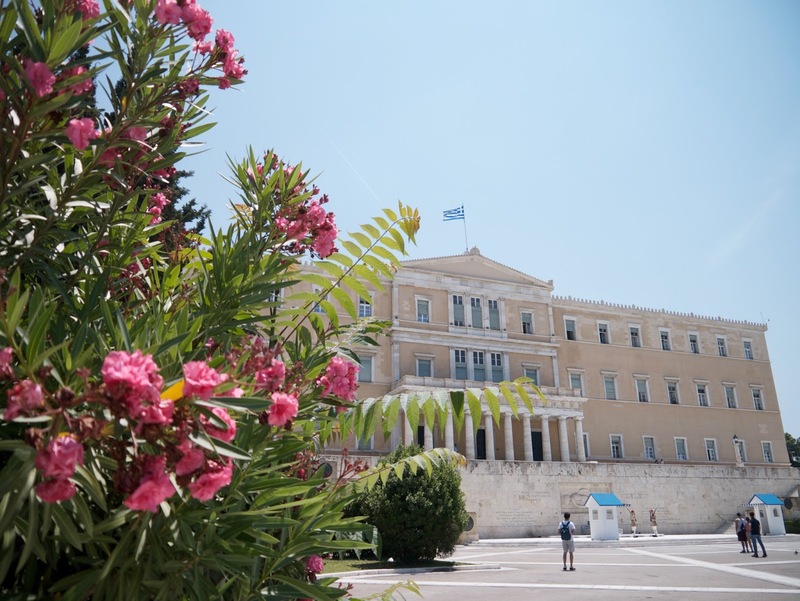 Most major events that occur in Greece have been celebrated at the Syntagma Square. Today, it continues to be the stage for demonstrations and political events and popular visiting place for tourists, especially because of the changing of the guard at the tomb of the unknown soldier. 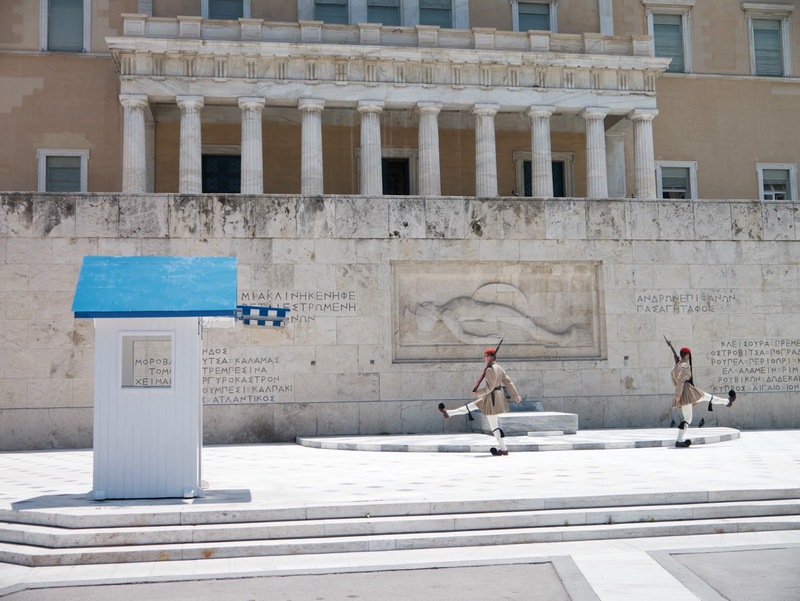 And it is really a ‘change of the guard’ experience like no other. 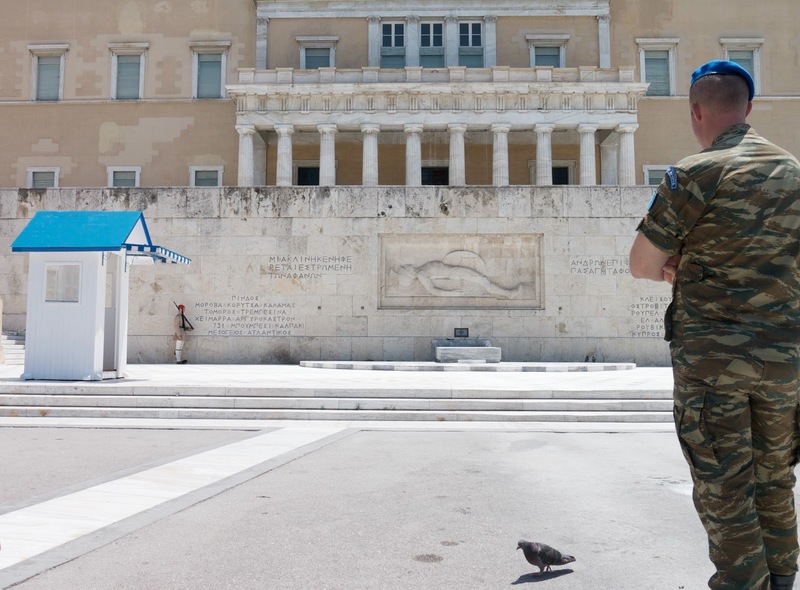 The uniform, and march is uniquely Greek, with very impressive slow step movements. Someone desperately wanted to take centre stage. Also known as the largest temple in Greece that took nearly seven centuries to complete. 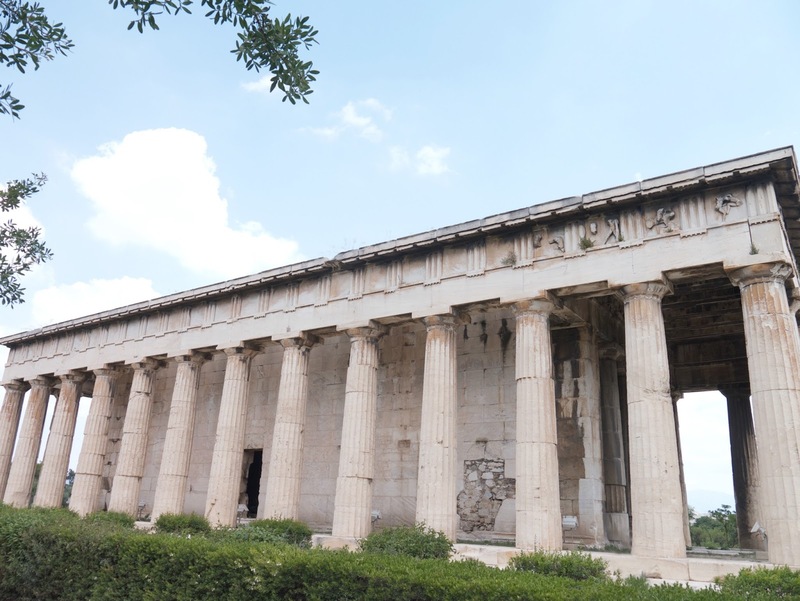 The temple stands today mostly as a reminder of Greek history, as only fifteen of 104, 17 meter long columns remain. 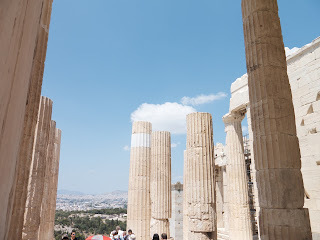 The glory of Ancient Greece rising above the modern Athens, unsurprisingly the most popular place to visit. 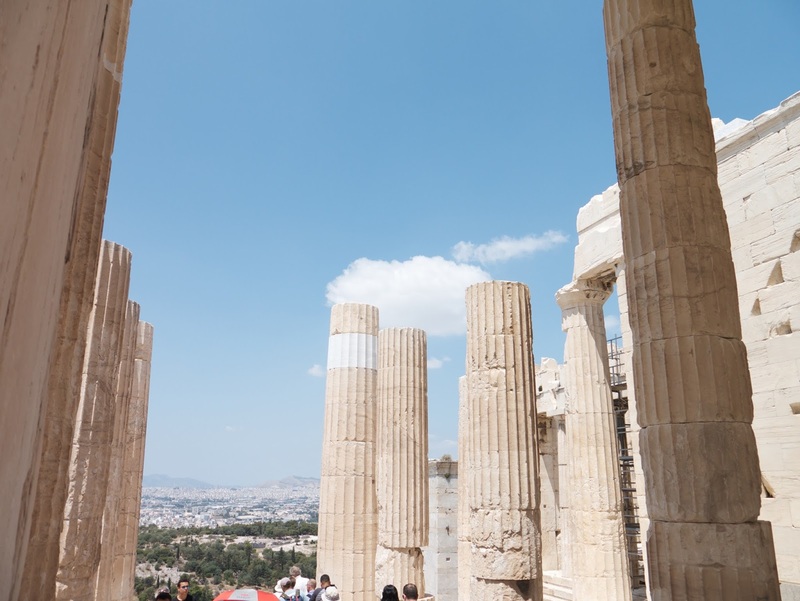 The Parthenon is a cultural landmark like no other, the temple was built to last and honor the goddess Athena Parthenos, the patron of Athens, to thank her for protecting the city during the Persian Wars. 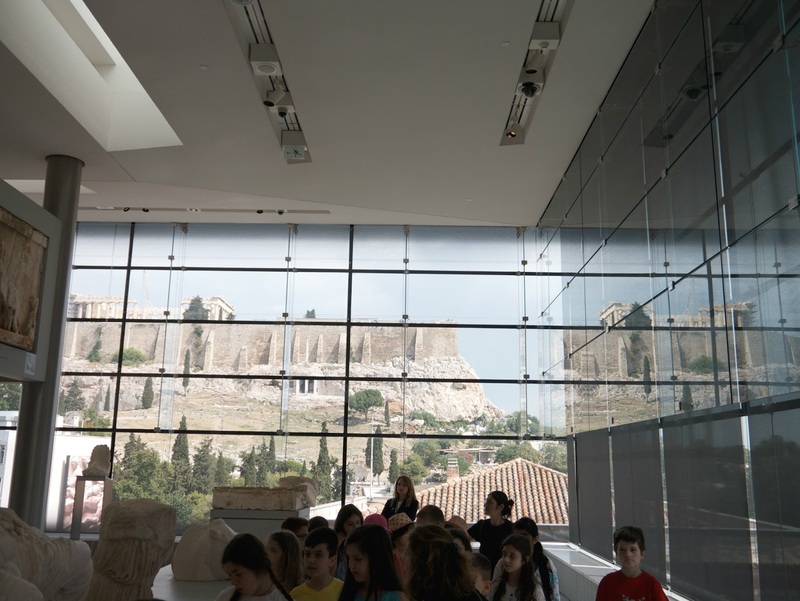 Entering the Acropolis was like entering my history books and see culture taken shape. Erechtheum, located on the Acropolis, and it’s one of the legendary pieces of Greek architecture. 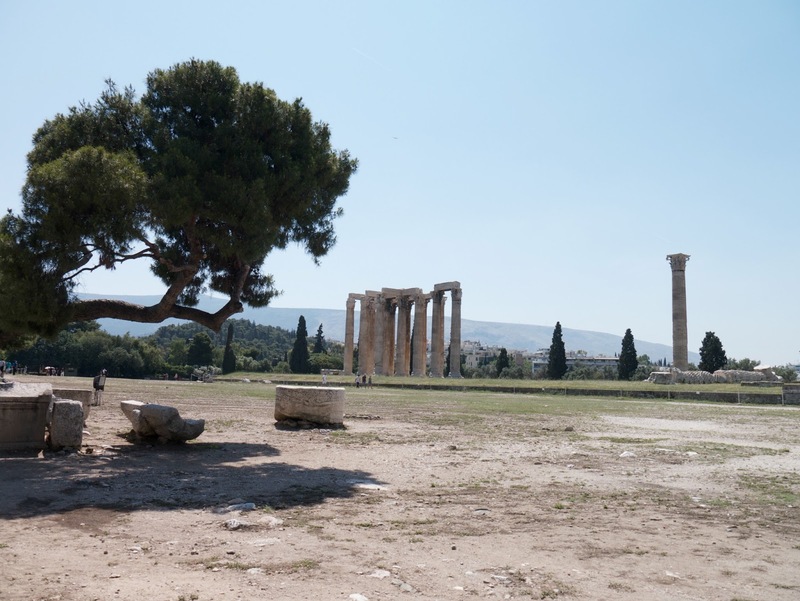 Its construction dates back to c. 421 and 405 when the earlier temple to Athena was destroyed by the Persian invasion. 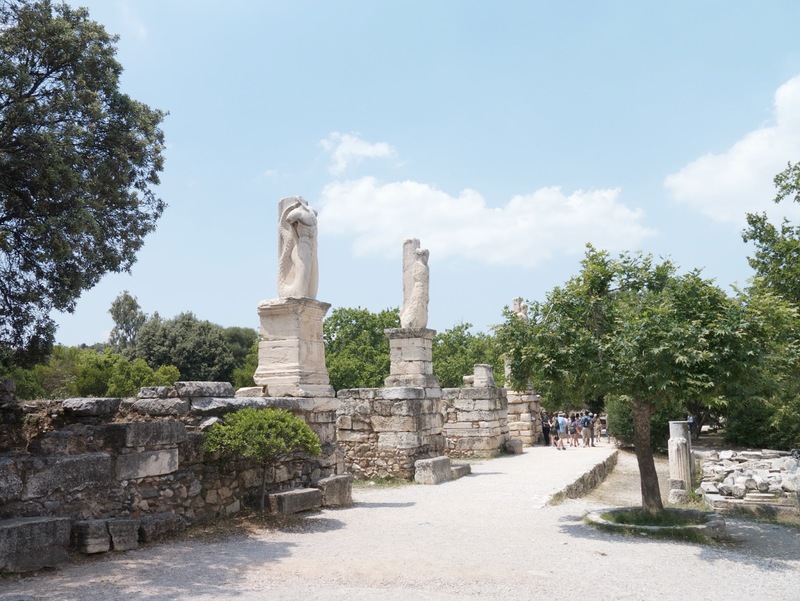 The Erechtheum was once a sanctuary dedicated to Athena Polias, Erechtheus and Poseidon. The six female figures can be found here that support the entablature, Erechtheum’s most defining feature. 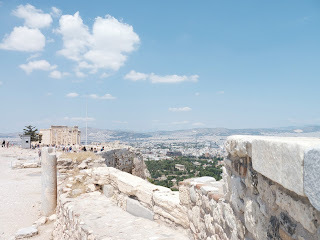 The vistas from the top of Acropolis are absolutely incredible. 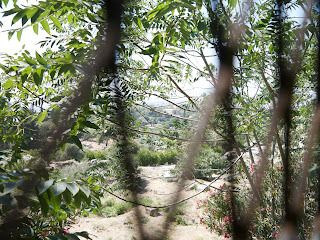 Note: If you are visiting in the summer months, be cautious of the scorching heat. 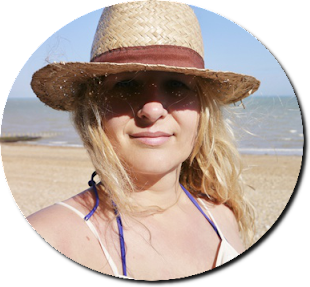 Definitely wear a hat, high SPF and bring a bottle of water with you as there is no shade at the top. The ancient Agora of Athens is a wonderful area to look at the cultural beginnings of Athens. Overlooking the Ancient Agora from its elevated position on the hill of Agoraios Kolonos, the Temple of Hephaistos was built in the 5th century BC. 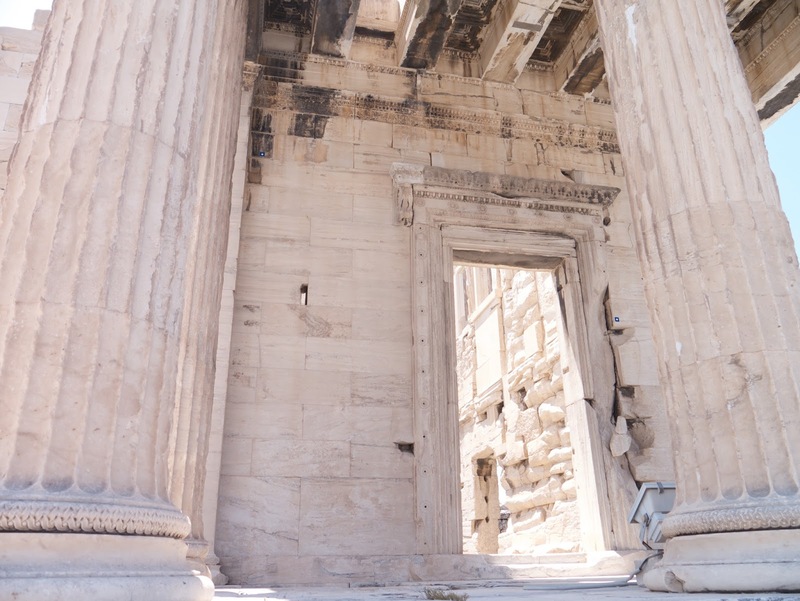 Similar in style but smaller than the Parthenon, the temple consists of 34 Doric columns that support a still partially intact roof. 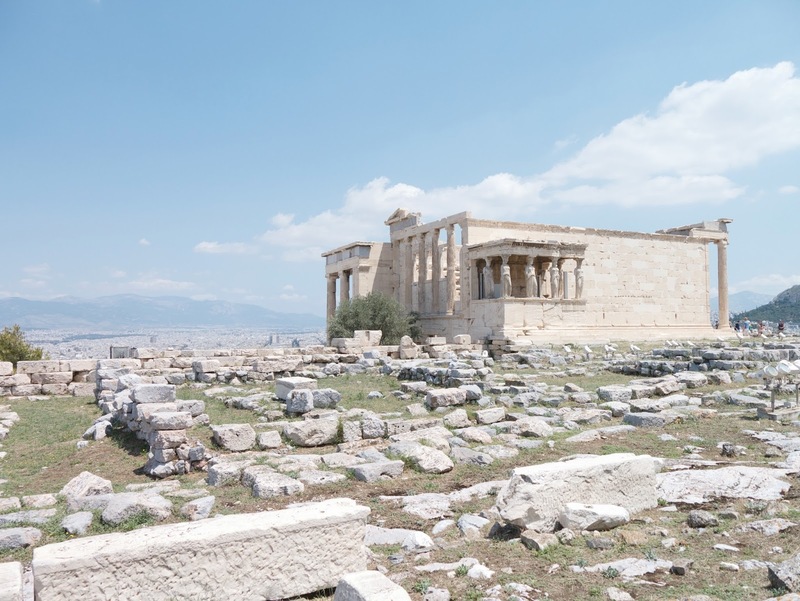 It is the best preserved temple in all of Greece thanks to its conversion into a church in the 7th century. 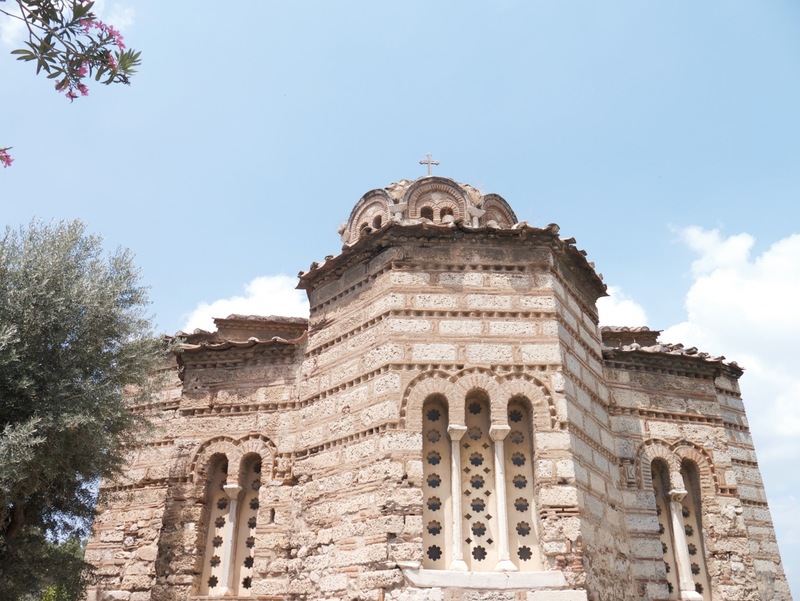 The Church of the Holy Apostles is the first significant church of the middle Byzantine period in Athens, and the only monument in the Agora, other than the Temple of Hephaestus, to survive intact since its foundation. 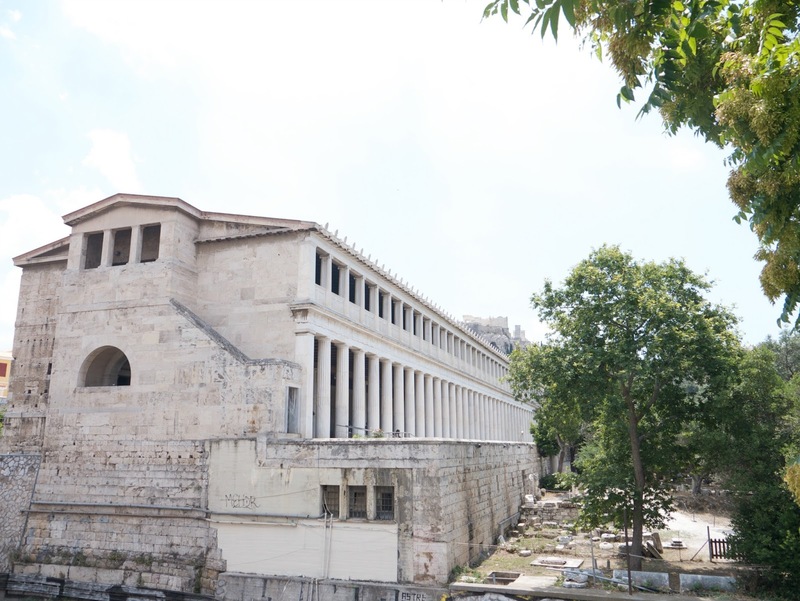 Stoa of Attalos or Attalus used to be an ancient shopping mall and place where locals gathered. 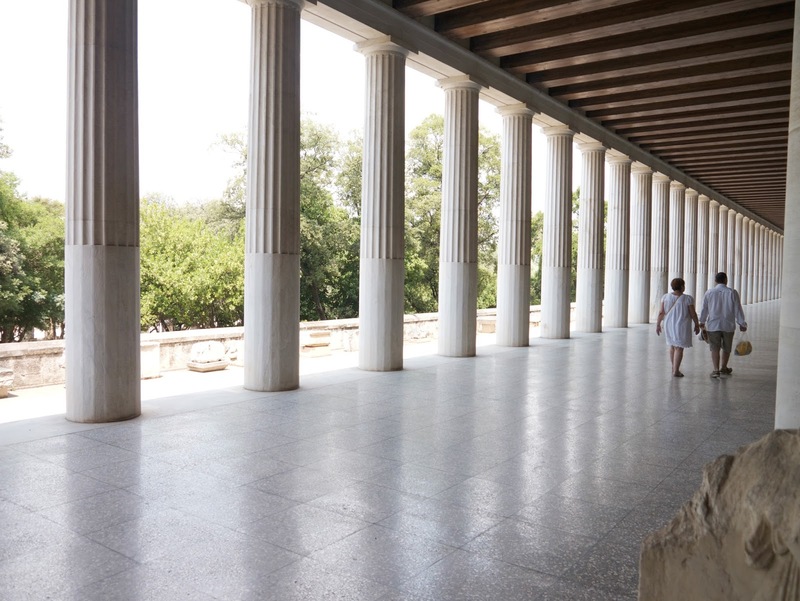 It was rebuilt half century ago and now houses the Museum of Ancient Agora in Athens. 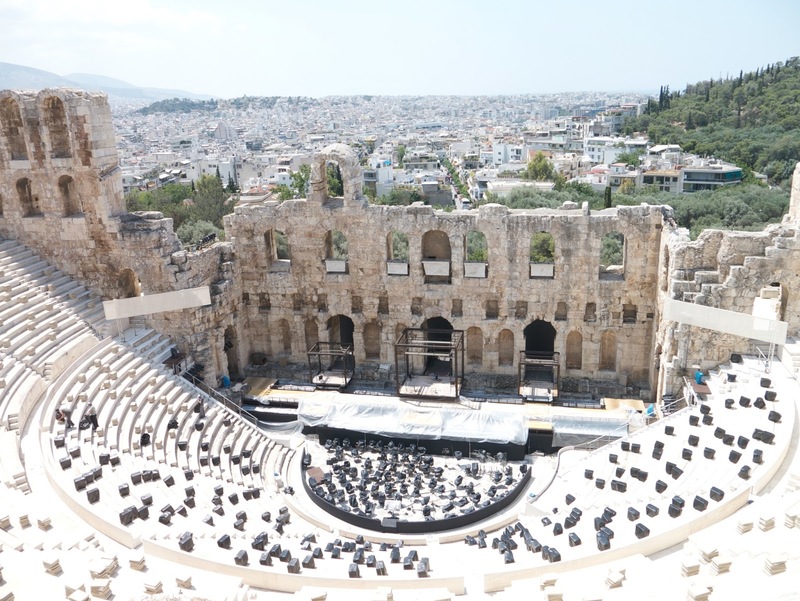 Not one of the most famous places in Athens, but one of the most appealing for sure. 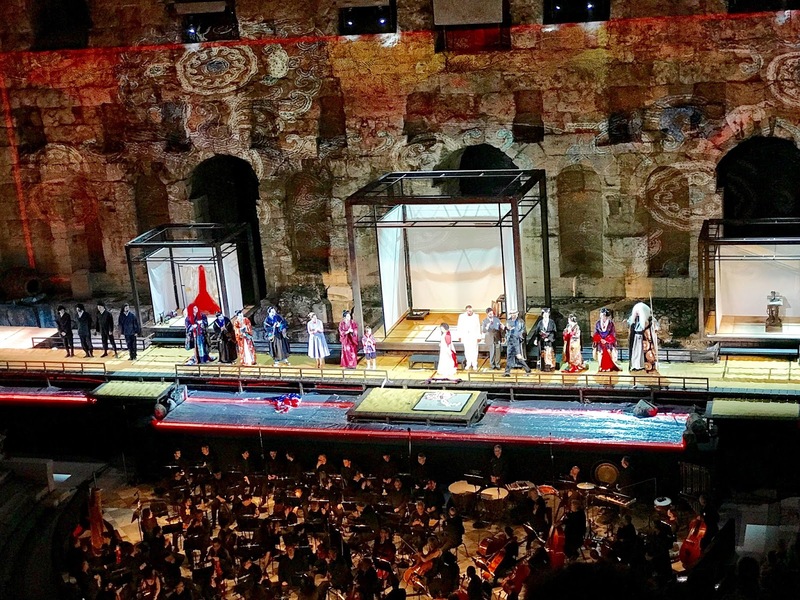 It can seat up to 5,000 people for shows, festivals and live opera. 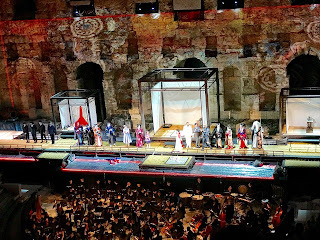 We saw Puccini's Madama Butterfly, which was unforgettable. Highly recommend keeping an eye on live events around your visit, as the atmosphere and views from the top are incredible. 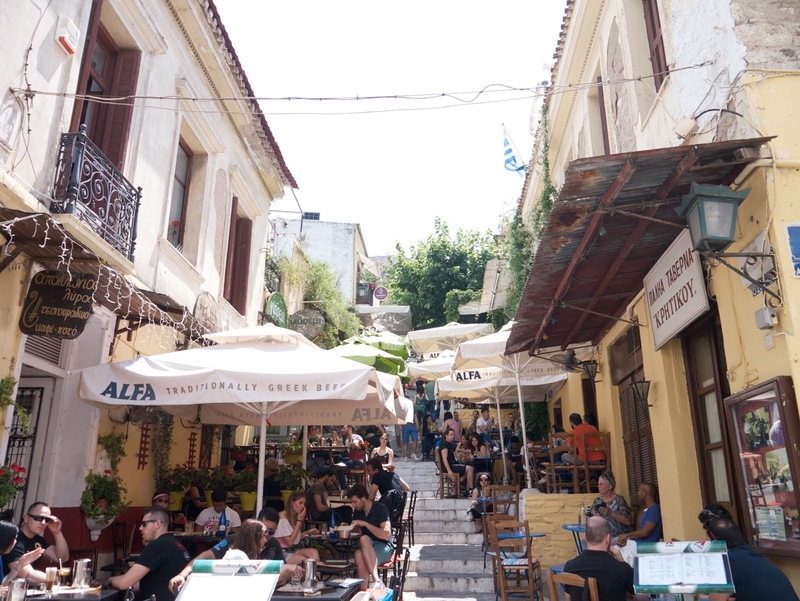 Located right under the Acropolis, Plaka is Athen's oldest residential quarter offering authentic Greek culture with endless boutiques, stone walkways and incredible cafes and restaurants. 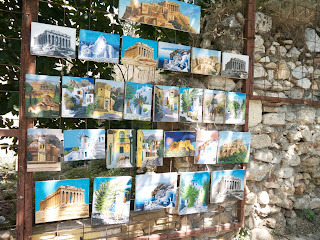 This place is full of street musicians, flower sellers and photographers, and the place to buy hard-to-find Greek goods. 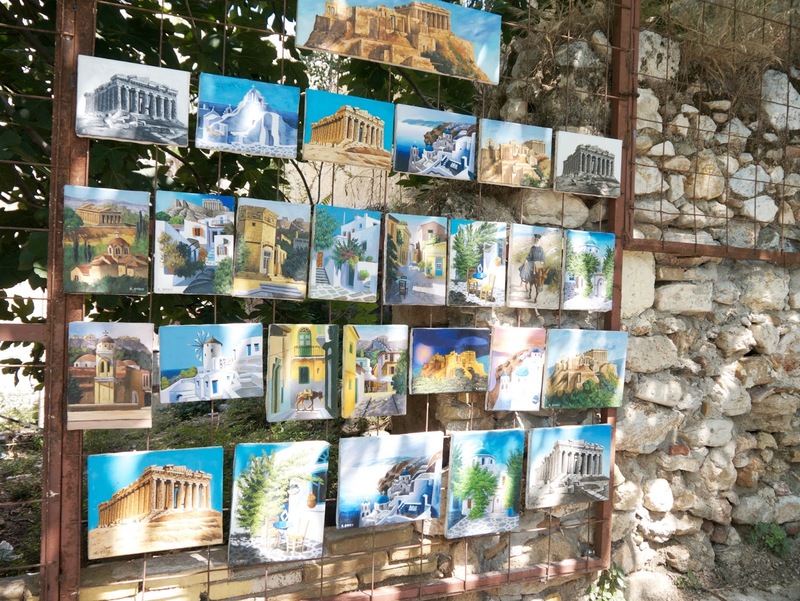 Monastiraki is a flea market district in the old town of Athens, 10 minutes from Plaka. Come Sunday morning, it turns into a huge flea market selling everything from junk to antiques. Amongst many jewellery shops, Art Kosmima sells really beautiful Greek jewellery. 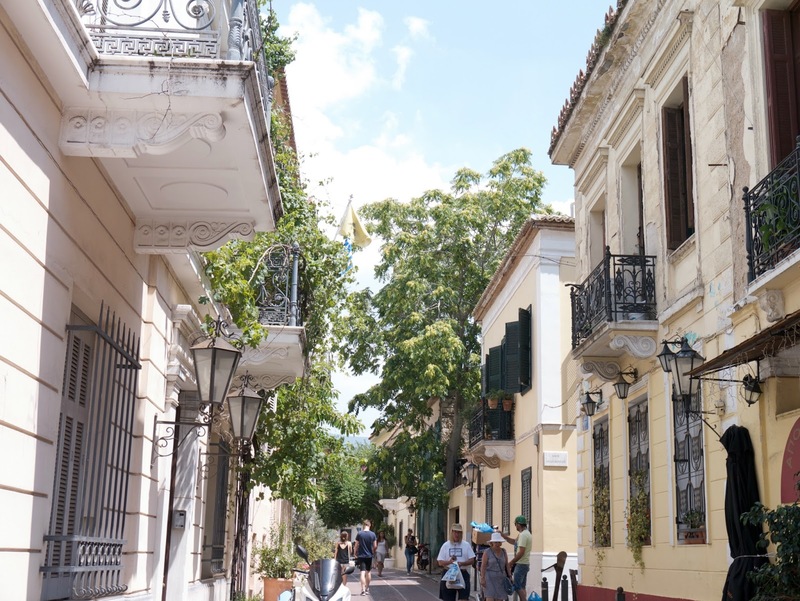 The streets around Plaka are uneven, and flooded with flowers. 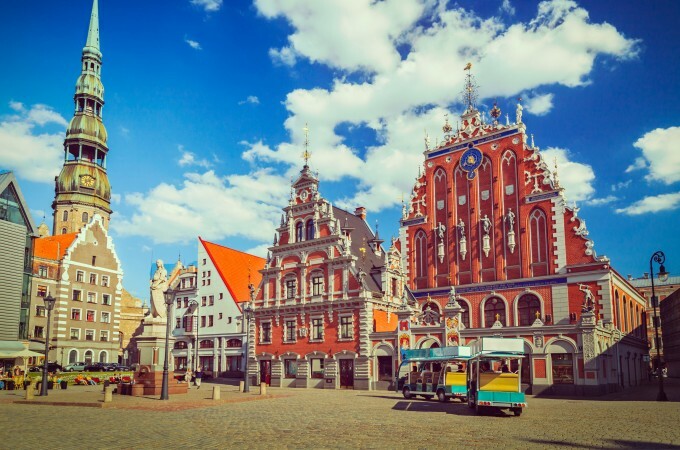 Just wander around and admire the architecture of buildings that have stood for hundreds of years. 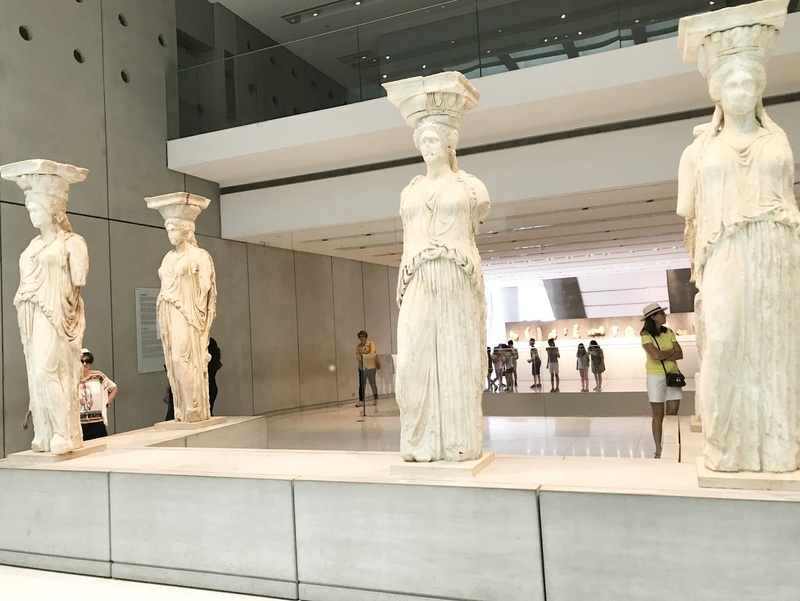 Here, you’ll discover the Museum of Traditional Greek Instruments, the Museum of Greek Folk Art and the 12th-century Byzantine Little Mitropolis Church. 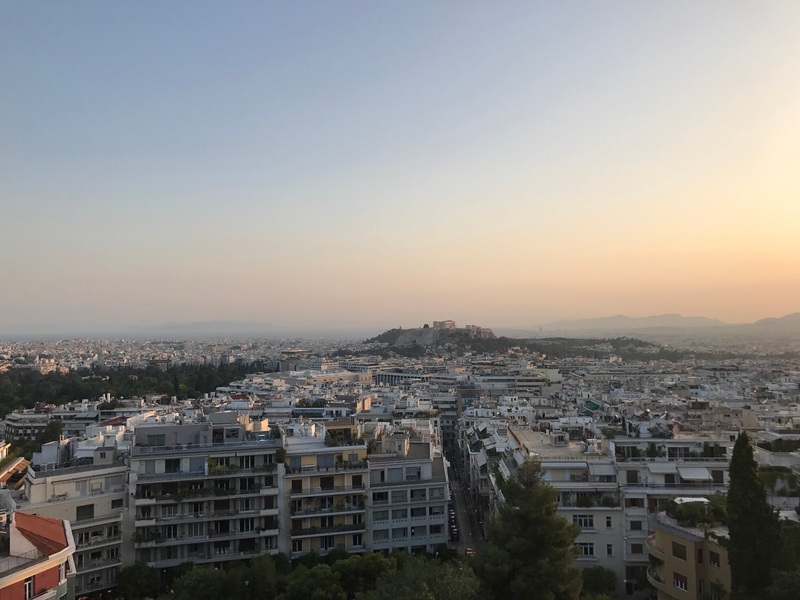 Whether you like hanging out watching people, shopping, eating, or wandering around, both areas are absolute must-see places in Athens. For a special and memorable evening, go to La Suite in St Georges Lycabettus Hotel. 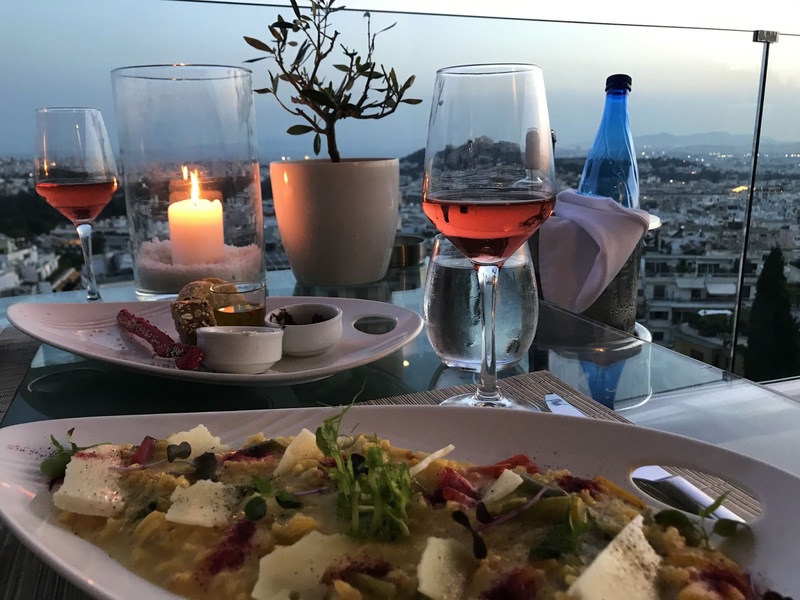 This fine dining restaurant serves delicious modern Mediterranean cuisine while offering the most incredibly views of the city. Book your table early and watch the sun set over the city which will leave you in utter awe. Will you look at that view? Trendy roof top restaurant located on 5th floor of Herodion hotel serving traditional Greek dishes with modern twist, seriously exquisite food and beautiful cocktails. Add Point A to your 'must-go-there' places, whether is to start your vacation or end a busy day. Make sure you order their chocolate cake with beetroot sauce, it is the bomb! Read my review here. 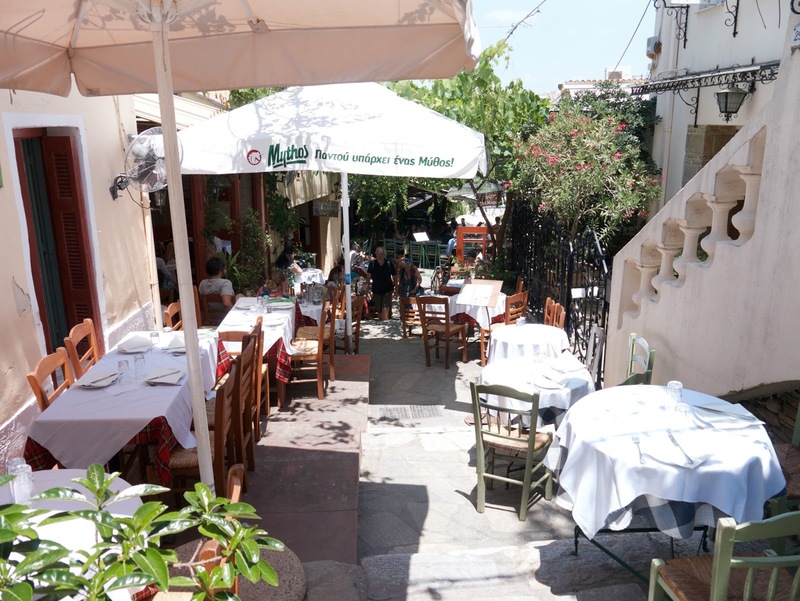 Eat like a local in Plaka, the local 'village' with endless restaurant options. 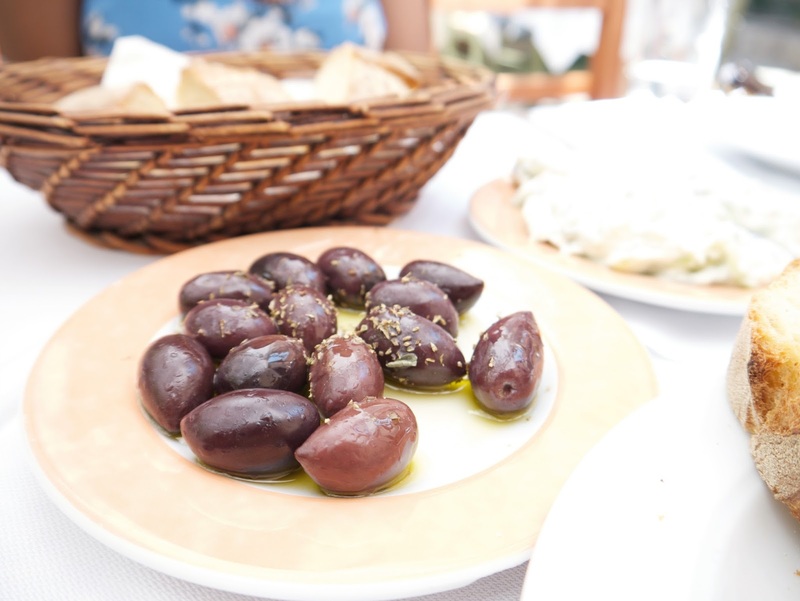 Grab the prettiest table outside, relax and get into your Greek groove. The food is fantastic and inexpensive. We loved the food at Dia Tauta, in Monastiraki so much, we returned the next day. 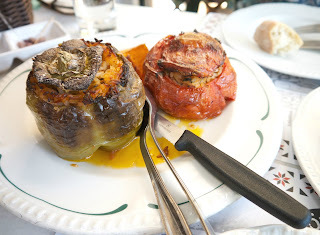 Delicious food at affordable prices (those stuffed peppers with rice and herbs were incredible!) Go for dinner and they have a live band playing Greek tunes all evening. 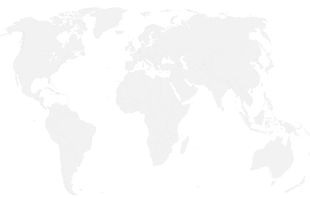 You cannot get more central location than this. 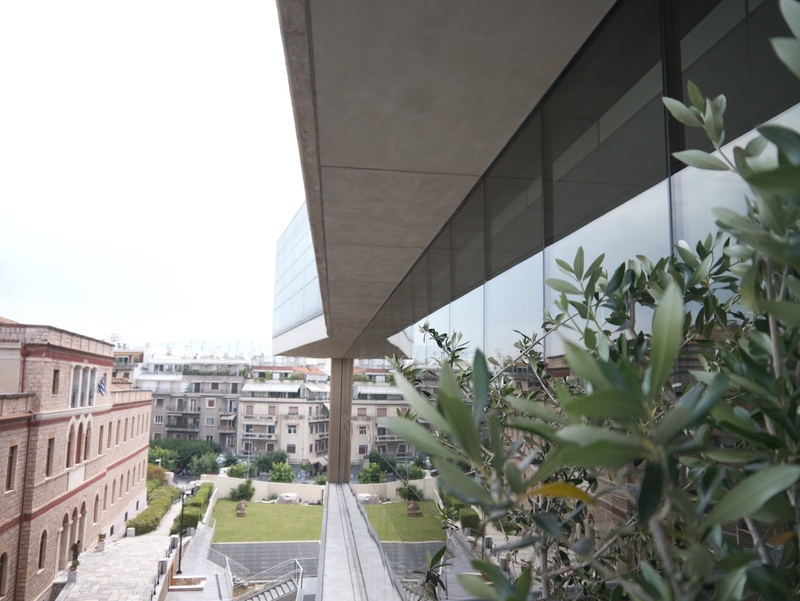 Absolutely fantastic hotel full of charm, timeless elegance and ancient influence on doorstep of Acropolis, the new Acropolis Museum, Temple of Zeus and Plaka. Luxury hotel outside of Athens. Ideal place to hang up your hat after the craziness and heat of the city. This chic and stylish hotel in Ekali is only 20 minutes away north of Athens, tucked away from the hustle and bustle of the city surrounded by tranquil gardens and lush forest. Budget option. 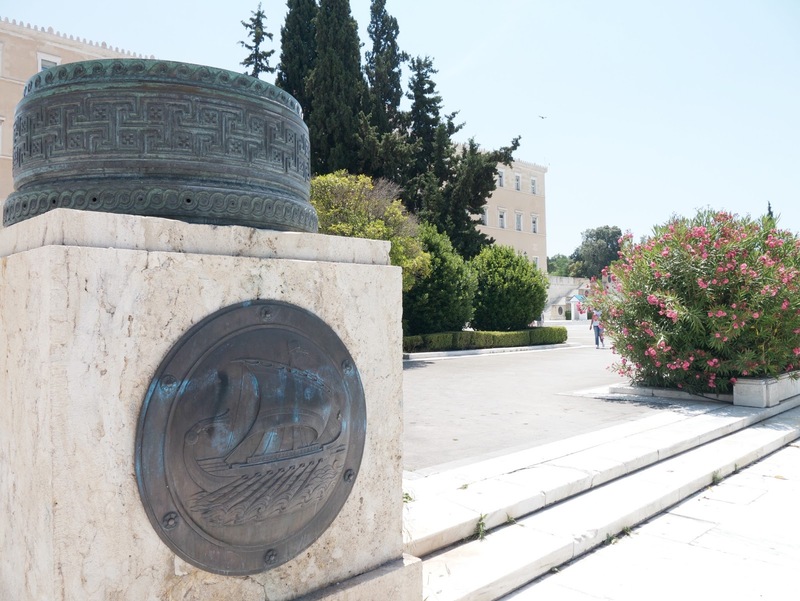 Ancient Agora, Acropolis and Plaka are all on the doorstep from the hotel. The transport system in has been modernised the last few years. With new roads, rail network and metro, it’s easy to get around. 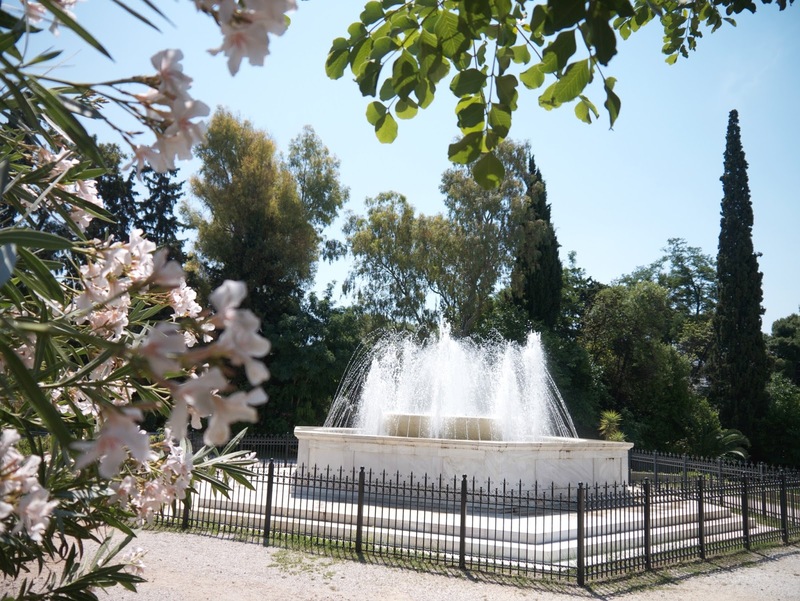 Athens is a great city to visit as almost all the famous monuments and local attractions are reachable on foot. 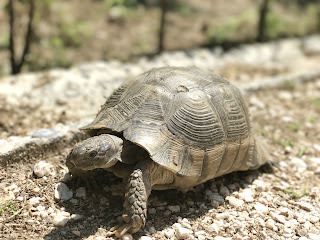 Visitor don't only visit Athens for the ancient monuments. 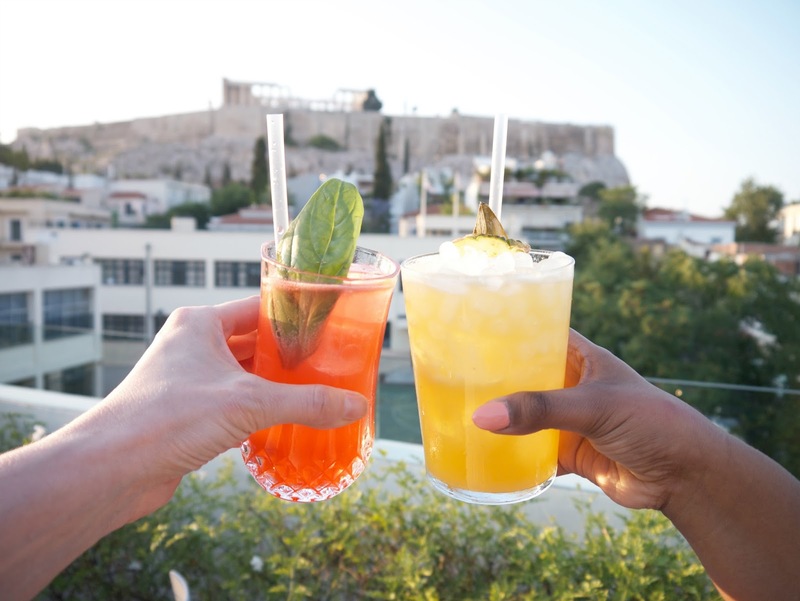 This city bursts with nightlife, contemporary art and its legendary street food scene, and Greek hospitality that has always been second to none. 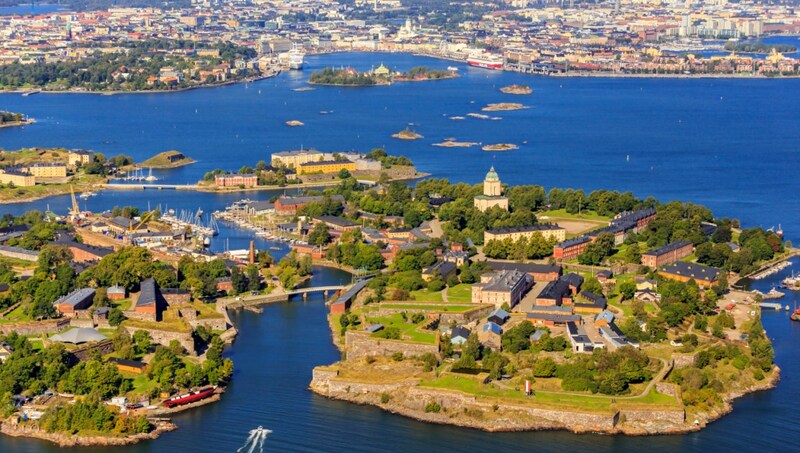 Ancient and contemporary, contrasting and yet matching, a city with many stories to be told. Have you been? 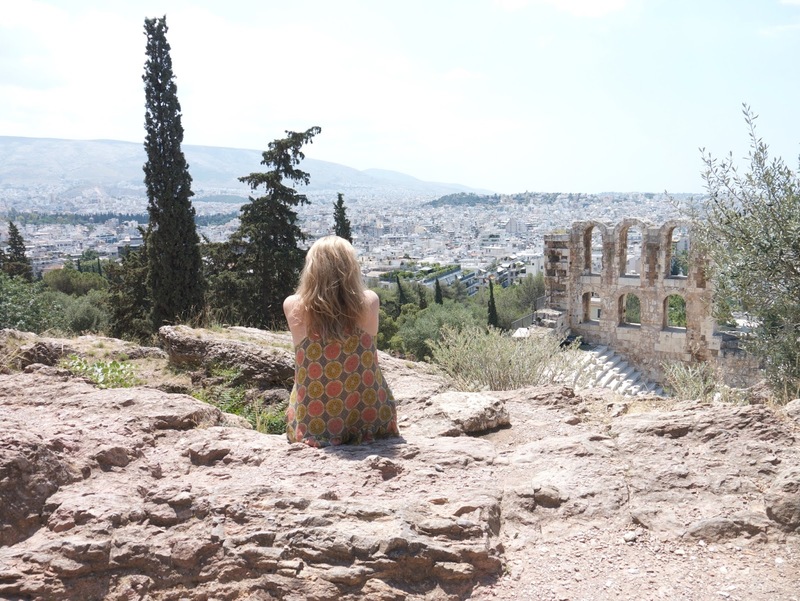 What was your memorable place to visit in Athens? Hi! 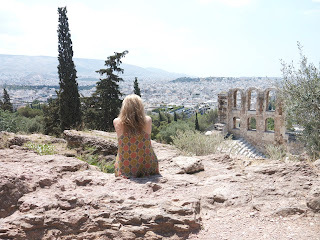 Your "Guide to Athens" is wonderful. So accurate!! You really did great job, hope you visit again soon.